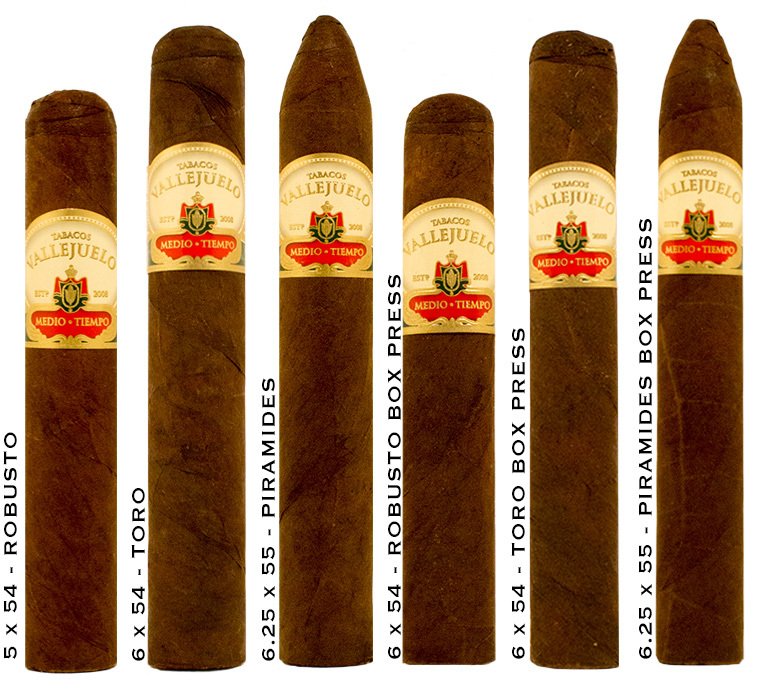 Vallejuelo Medio Tiempo Cigars - Buy Premium Cigars Online From 2 Guys Cigars . Introducing this highly anticipated limited edition boutique cigar with a complex blend of first grade Cuban Seed Piloto Cubano, Criollo '98 and Corojo tobaccos from Nicaragua and Dominican Republic, showcased in an exquisite San Andres Maduro wrapper. What sets this apart is the tobacco leaf for which this cigar is named for, the famed Medio Tiempo. That leaf that comes from the top of the tobacco plant and gives this cigar an exquiste profile that should not be missed. Available in the traditional round or modern box-pressed.